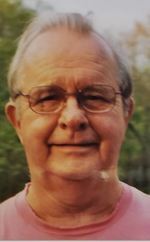 SUTTON: George R. Ekman, 83, passed away December 17, 2018 after being stricken ill. He is survived by his wife Priscilla Ekman, his children Karl Ekman and his wife Margaret, Kim Bartron and her husband Quinto Notari and Darlene Wood. He also leaves his grandchildren Kyle Wood, Nicole Wold and her husband Andrew and Kayla Notari, great-grandchildren Kiara Notari and Lucas and Evan Wood and his sister Betty Stone and her husband Wentworth. He was predeceased by his sister Ruth Jensen. George was born October 1, 1935 in Worcester, son of the late Carmen (Ljunggren) and Carl Ekman. His roots were in Worcester but he lived for Grafton for many years. George served in the U.S. Navy during the Vietnam War aboard the U.S.S. Northampton. Following his military service he worked as a Machinist at Wyman Gordon in North Grafton. Away from work you were likely to find George outdoors fishing or hunting or working on a woodworking project at home. He and his wife Priscilla also found time for cruises after his retirement. Please honor George with memorial donations to the American Cancer Society at www.Cancer.org. Funeral services and burial were private at his family’s convenience and were under the care of Roney Funeral Home in North Grafton.